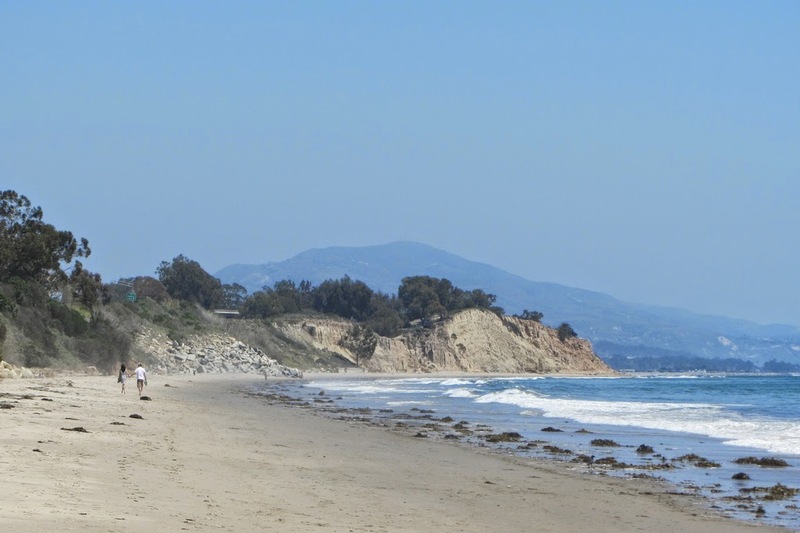 Summerland, California: an intriguing name, isn't it? All of California is a summer land. Imagine walking down the hill from the cliffs, then walking on the sandy beaches with waves bringing in sparkling foam and rafts of kelp. 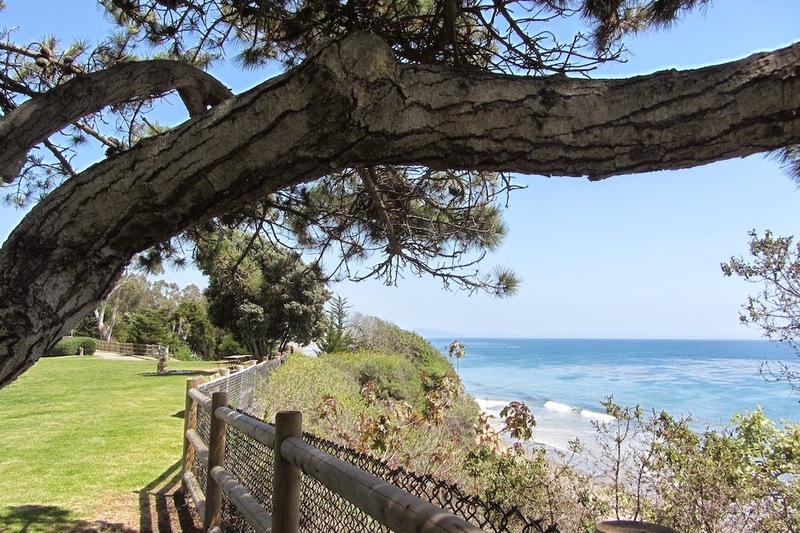 These are pictures of Lookout Park in Summerland near Santa Barbara. I could see it from the train on Monday, and explored the beach a bit yesterday. 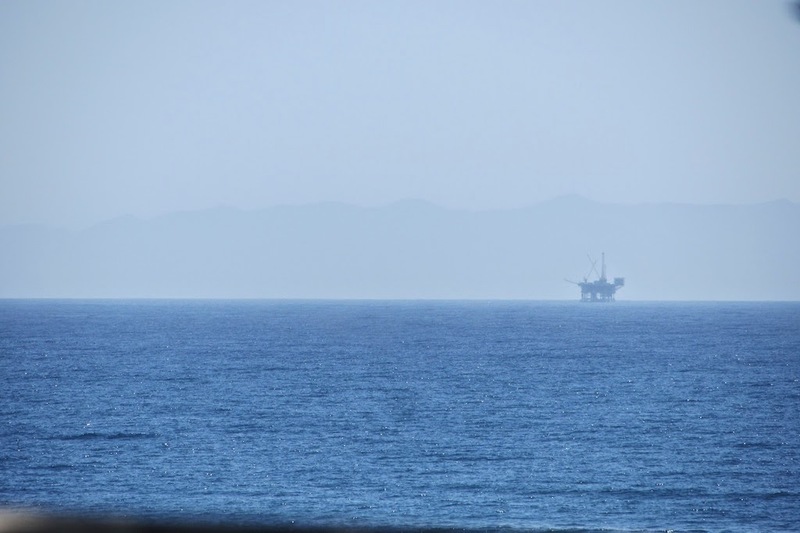 The underwater oilfields near Santa Barbara are a counterpart to the idyllic scenery and the combination of wealth and laid-back hippie lifestyles. 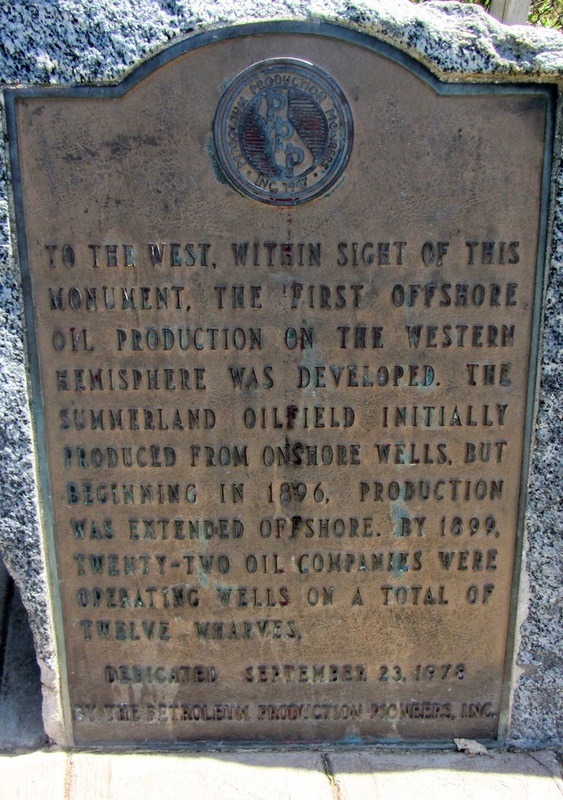 Summerland's original founders were spiritualists in the 19th century tradition, but their idealism was trounced by oil drilling both onshore and offshore within a few years of their arrival. 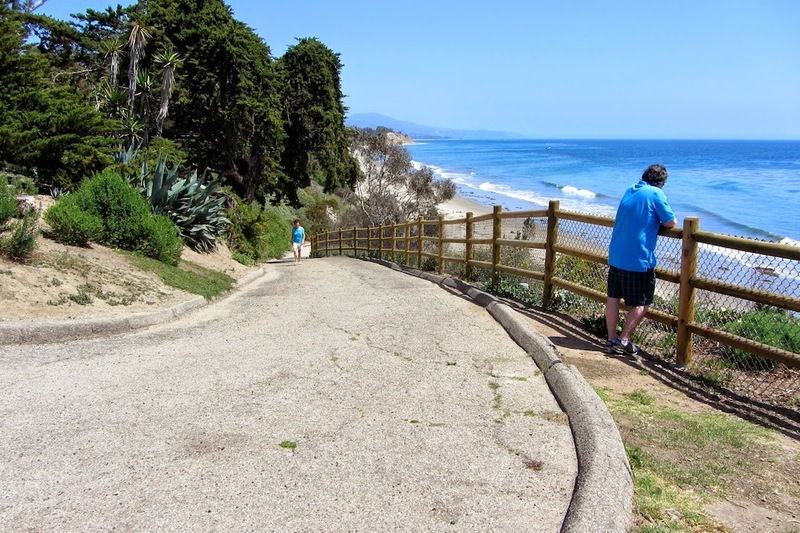 The current community of around 1500 people has antique shops and beautiful houses on one side of the freeway/railroad line, beach parks and incredible beach-front mansions on the cliffs on the other side, and oil wells on the horizon. The conflict between oil and natural beauty is noticeable all along the coast. In the early 20th century oil wells stood quite close to the area of luxury homes in Santa Barbara where we are renting an apartment now, mainly replaced by offshore drilling. The 1969 record-breaking oil spill on a platform near the Santa Barbara harbor killed much wildlife. This catastrophe inspired much anti-drilling sentiment and law. And now at the farmers' market every week, some people wear anti-fracking tee shirts and some solicit signatures on anti-fracking petitions -- the latest threat to the beautiful environment. Blobs of tar appear on all the beaches; the oil companies claim they are a natural result of all the offshore oil, while environmentalists think they are the result of the oil wells. If you are future-oriented you carry baby oil and rags or other materials for removing tar from your feet after beach walks. One thought: oil enables the huge car culture throughout California and the US. No doubt: there's a constant conflict here and everywhere. Just not always so iconic.